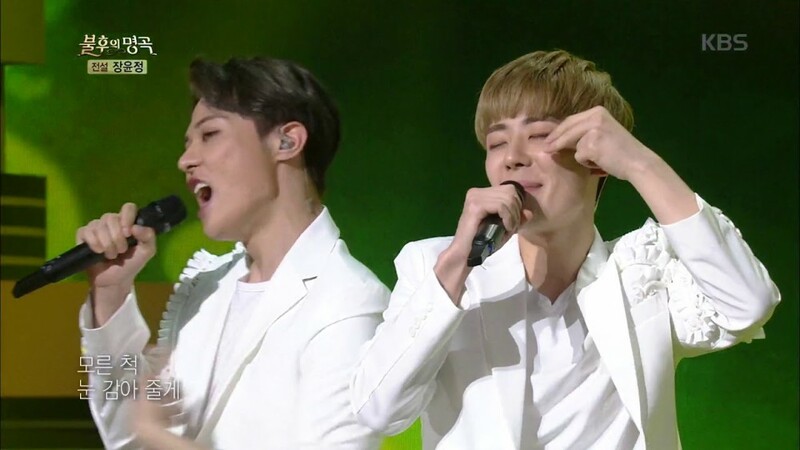 VOISPER hyped the audience on the June 23rd installment of 'Immortal Song'. For the Jang Yoon Jung�special, VOISPER covered the trot singer's 2010 track "Come On" ("Olle"). The vocal group started out with a beautiful acapella harmonization of the song, and then they switched it up with a more upbeat rendition. VOISPER did take the round from Navi, but it was Kim Yong Jin�who took the final win. What did you think of VOISPER's performance?